That awkward moment when you kill granny's car and almost off three generations of your family. Costa Ricans like myself have a few phrases that highlight our philosophy on death. One of these phrases is “se le tocó,” which means, “It was their turn.” A few weeks ago, as I was driving Costa Rica’s “,” it almost became my turn to die and I would have taken my family with me. To start, any concept of a “” held by western readers must be banished. This road has inclines so steep that sections of road look like walls and the tight corners makes the Nurburgring look tame. If you think this Latino drivers cautious, you’re wrong. The road connects the country together like a Route 66 only a lot narrower, steeper, and curvier. 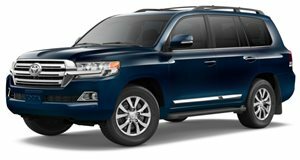 I was selected as driver for a trip and my family crammed into our 1998 Toyota Land Cruiser with a 4.2-liter straight-six turbo-diesel and a five-speed manual. Despite the danger, the gearhead side of me loves driving this road since my hometown in the U.S. has nothing but flat, straight, and monotonous roads. I had made passing trucks an art involving dropping a gear, letting the turbo spool up, and then reaping excitement as our 5,830 pound SUV charged ahead with what felt like infinite diesel torque. Unfortunately, these maneuvers I wait all year for had to end because the diesel workhorse had 260,000 miles on it and, as a Costa Rican would say, “se le tocó.” Somewhere a few miles back, the engine began spewing its oil supply onto the exhaust manifold. I had missed the telltale smoke from the hood because it blended into the surrounding foggy night. Since the turbocharger is the fastest spinning oil-fed part (200,000 RPM! ), it was the first to explode. Metal shards went into the intake manifold and out of the engine. It would have been prettier if I had stuffed a live grenade inside the engine. Forget the mechanics now, because this turned into life or death real quick. Costa Rica had just installed cat eyes into the road meaning truckers with balls bigger than F1 drivers got even ballsier. Our Land Cruiser lost power in a very tight blind corner where said truck drivers get their adrenaline rush by making gas pedal sandwiches with their feet and the firewall. Without any shoulder to coast the car to safety, we stopped in the street. Being the only young person in the car, I sprinted out back to where the corner began to warn traffic with my iPhone’s flashlight. One by one, trucks slammed on their brakes, some skidding on the wet pavement. Costa Ricans know that criminals like to set up fake breakdown situations only to carjack good samaritans, so no one was going to help. Cell phone service is non-existent on the mountain, so the best bet was to walk a few hours to one of the few mountain houses for help. The situation looked grim until the only tow truck on the mountain stopped for us. I couldn’t believe our luck. I ran toward it yelling in excitement until I saw another car round the corner at full speed, , and nearly hit our stalled car before bailing onto the opposite lane only to miss an oncoming ambulance by inches. I resumed my traffic police post as our SUV was loaded onto the tow truck. A few days and an engine replacement later, we celebrated Christmas. My present to my Grandma turned out to be my visit and a $9,000 repair bill. Merry Christmas Grandma.